100% linen knit, a customer favorite! 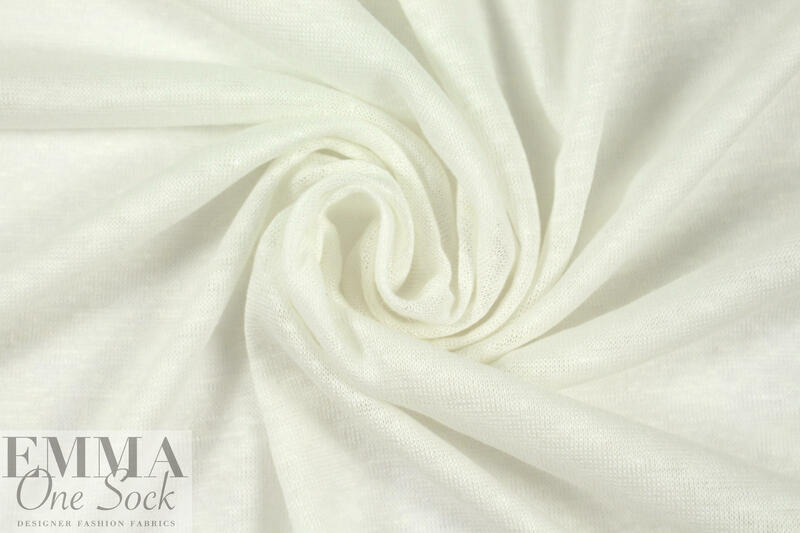 This is a wonderful lightweight, semi-opaque linen knit with a slubby texture and 15% stretch in the width only. 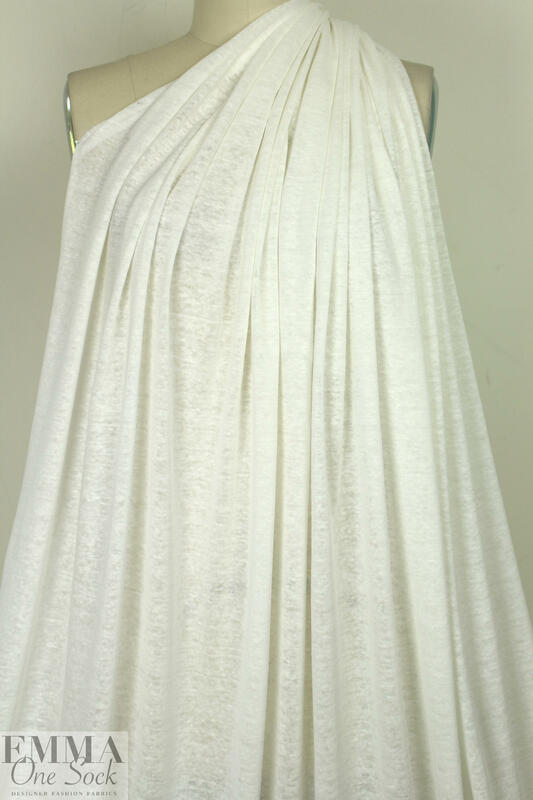 Lovely drape, fresh and natural, and in a great variety of colors. This colorway is white. Perfect for tops, tees, cardigans, pullovers, tunics, etc. Hand wash, cold water, and lay flat to dry, blocking the fabric as you would with a sweater knit to minimize warping. No bleach. Be sure to cut in a single layer layout so that you can follow the grain.